Photodynamic therapy Blu-U Light uses light to treat damaged tissues and stimulate beneficial reactions. At Serrão Rejuvenation Center, Dr. John Serrão, a board certified gynecologist who specializes in anti-aging medicine, and his team offer photodynamic therapy Blu-U Light for women in Orlando, Winter Park and the surrounding areas of Florida. Photodynamic therapy helps those with cystic acne, rosacea and certain precancerous spots(actinic keratosis). This therapy is also used for the treatment of photodamaged skin by reducing the appearance of fine lines and blotchy skin tone. Skin oiliness is decreased and the appearance of pores is minimized. The entire skin texture improves following photodynamic therapy. A photosensitizing drug called Levulan (5-aminolevulinic acid or ALA) is administered to the patient topically. Levulan is a “natural” product found in all humans. When certain wavelengths of light from the laser or BLU-U are directed on tissue containing the drug, it becomes activated, and the tissue is rapidly eliminated. 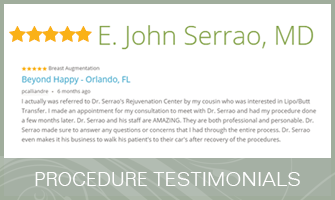 Conveniently located in Orlando, Serrão Rejuvenation Center has provided impressive results to their patients for many years. Dr. John Serrão has provided hundreds of cosmetic procedures for his patients and understands the importance of being happy with one’s appearance. 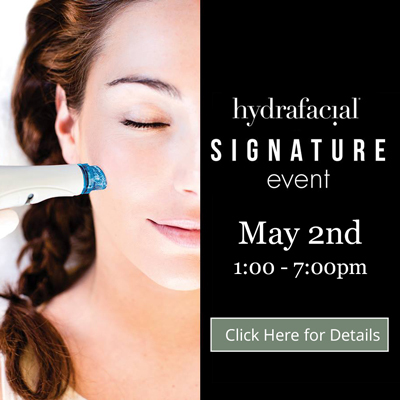 Learn more about photodynamic therapy Blu-U Light at Serrão Rejuvenation Center for women in Orlando, Winter Park and the surrounding areas of Florida. Contact us to schedule a consultation and begin your rejuvenation today. Dr. Serrão is a board certified gynecologist and post-graduate trained cosmetic surgeon specializing in anti-aging medicine. Those with severe acne, rosacea, actinic keratosis, or sun damage are the best candidates for the treatment. You can return to your normal activities following PDT. However, we advise remaining indoors the day of and following your treatment, as you are photosensitized for about 24 to 48 hours after having the therapy. Every patient will experience some skin photosensitivity. Swelling, inflammation, nausea, and fever are other possible side effects. You will be red and have some peeling and possible crusting for several days after the treatment. Usually, the first and second days are the worst. Pressed, mineral-based make-up will conceal the redness and is available in our MedSpa. A list of post-procedure instructions will be given to you as well. Results can appear after one treatment, but, for the best results, most patients undergo a series of treatments. Acne is reduced within three to four treatments, and rosacea is improved within four to five treatments. Precancerous lesions usually respond in one to two treatments. For those with stubborn acne, photodynamic therapy provides an excellent solution. Results can appear after one treatment, but, for the best results, most patients undergo three to five treatments. Treatments are scheduled every two to six weeks depending on the condition. Levulan is incubated on the skin for thirty to sixty minutes prior to the light therapy. A light therapy session lasts from eight to thirty minutes depending on the condition. The procedure has minimal discomfort. Some patients experience mild burning and itching, which is resolved with the use of a facial fan. Pregnant women, those who have taken Accutane® in the past three months, and those with cold sores should not undergo photodynamic therapy. Are There Instructions Before and After Treatment? Three months before the treatment, do not take Accutane® or medications containing aspirin or other anti-coagulants. Patients must avoid sun exposure and use sunscreen after treatment.